Would you like to give a gift that could cost as little as a couple dollars or even nothing at all? Chances are, you know someone who has a child with therapy needs, doctor appointments, endless meltdowns, and some tired parents holding the whole thing together. Sometimes we're just holding it together with string, chewing gum, and a little duct tape. In my experience, our loved ones want to help but don't know how. Sometimes they offer money, and hey, that's great. Depending on what kind of needs your child has, money might help. But for those of us holding our own in that department, there is something even more valuable you can give and that is TIME and CREATIVITY. Offer to go on a doctor appointment and/or babysit the siblings. Children with a diagnosis often have extra doctor appointments, sometimes scheduled up to a year in advance. These appointments might be 30 minutes away or at some specialist 3 hours away. Offer to go along and be an aide while mom fills out paperwork or asks the doctor questions. Alternately, mom might need a babysitter for her other children. Make a busy pack. This so easy, inexpensive, and even a little fun. Find a craft of the appropriate level, assemble instructions and materials in a zipper seal bag, and hand it to mom. If you are not the crafty type, find a few inexpensive toys, maybe a small book, and a novelty treat. Give it to mom on the sly so she can add it to her arsenal to subvert a tantrum or rainy day meltdown. Offer to help at church. This is a big one. Church should be a refuge, but for special needs parents it is too often a depleting war zone. I can't begin to tell you how many parents would be encouraged by someone asking if they could help with your child during Sunday School or take a child out to the playground after church so the parents can enjoy some fellowship after the service. It would absolutely be a gift. Donate an hour.- Offer to run an errand, take their car to the wash, or take the kids to the park for a nature walk. How about an hour of respite in your home? It might just be the time a parent needs to make phone calls, do paperwork, or just decompress. We'll take it. Give your special skill. Photographer? Offer a free mini session. Baker? Drop off a couple loaves of bread. Do you enjoy sewing? Take on the mending pile. It all makes a difference. 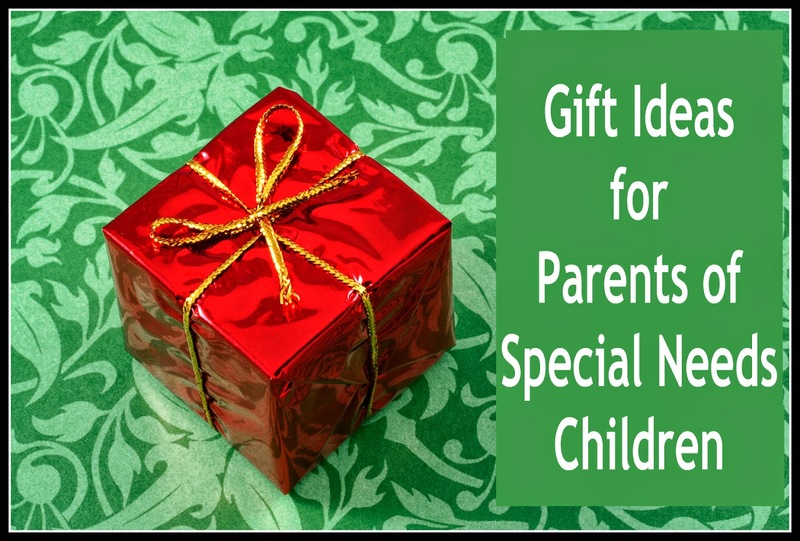 There are probably at least a dozen more ideas, but this could serve as a jump off point if you choose to bless a parent of a special needs child on any occasion. If you still find money to be the best option, no one in the history of mankind has ever turned down a gift card. Also, many parents rely on services from non-profit organization that do yearly fund drives. Ask when the next fund drive is taking place and donate at that time. Finally, sharing this list in some way would be a free gift, too. Who knows where it might touch a heart and inspire goodness?